They just couldn't restrain themselves, now could they? After an episode that, on the whole, dealt with the stupid plot twist of last week in a satisfying manner, the writers had to throw a time travel wrench into the proceedings right when they didn't need to. 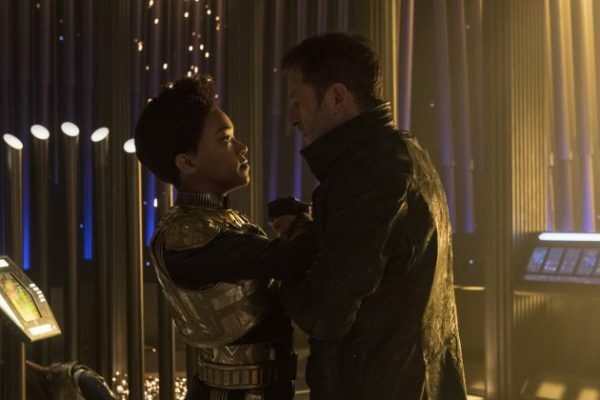 After all, having the Terran Georgiou on the Discovery would have been more than enough to drive the final two episodes of the season (after all, if there's a living Georgiou, there's a chance Burnham can get out from under her court martial, or at least some interesting plotting that could come of trying to answer that question). But, nope, we have to deal with a 9 month time jump, the Klingons winning the war, and a drive to "set things right," undoubtedly through more time travel. I have to say, I'm going to finish out the season here with you, but I can't imagine coming back for season two. Now, onto the spoiler-filled discussion. The only real story arc this week was the rise and fall of Terran Lorca. As I said above, having him attempt a coup and die as a result would have made for a fine, if predictable, episode. 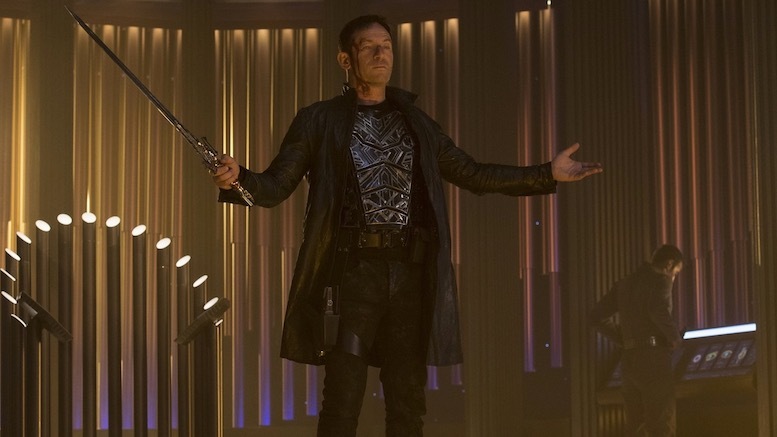 It would have dealt with the lingering issue brought about by the reveal of his true identity last week (Discovery needs to return to their reality, and they can't do that with a bad guy in the captain's chair, so Lorca was almost certainly going to be dead by the time the season was over), while continuing to drive the plot forward. It served its purpose, as did Jason Isaac, who deserved so much better than what he was given. Adding Georgiou back into the mix was a smart play (the first smart move by the writers in weeks), as it creates genuine tension throughout all relationships on the show. After all, Saru and a large swath of the crew knew the old Georgiou, while this Georgiou knew the Terran versions of most of the crew. That interaction alone (imagine seeing someone you only think of as food in command of a starship, and having to understand that your alternate version was close friends with him) would make for an excellent episode. But we aren't going to get that. Instead we're going to get Discovery trying to fight with the remaining Starfleet rebels. It's not a winnable battle by any stretch of the imagination. And, considering we all know what happens in future iterations of Star Trek, we know that whatever the crew ends up doing, they'll figure out a way to return everything back to the way it should be. Hence, almost no stakes to be had. 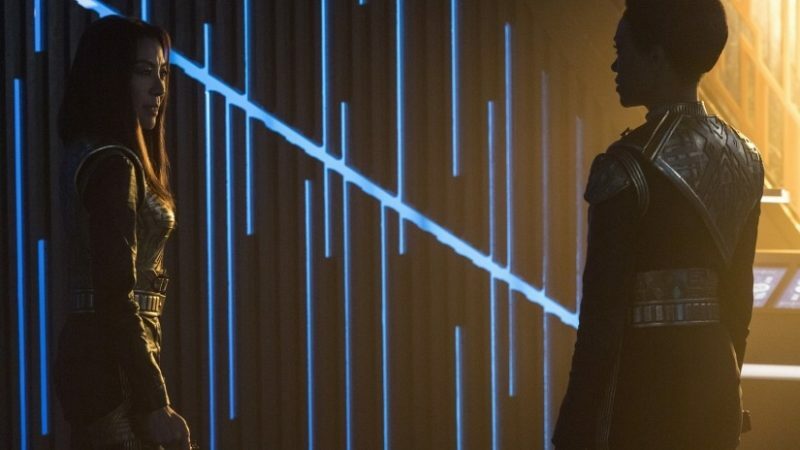 When Star Trek: Discovery premiered last year, I had high hopes. I wanted to see a more serialized Star Trek, one that wrestled with moral issues like the best arcs of Deep Space Nine. I wanted to see diverse and interesting characters. I was excited to get a chance to watch the crew work together to fight to survive in a complex war plot. Instead, interesting characters were killed with little rhyme or reason (it was lovely to see Rekha Sharma back, albeit for only a brief appearance). The Klingon storyline turned into a slog that felt more like a punishment to watch than a joy (hell, I'm still confused about just who is in charge of the Klingons and how they got so many Houses in line). And the potential PTSD plotline turned into two "twists" that had both characters revealed to be traitors. It's not easy to start a show, and Trek show's often have growing pains in their first seasons, but so much of Discovery has been a mess, it's incredibly sad to see what it has become. Maybe they can reboot things for season two, because this season is a lost cause. But I'm not sure the writers can win back the goodwill that has been lost.